Purpose: Create personas to help guide the product strategy of SAP Lumira, a business intelligence tool. -Presentations to key stakeholders (e.g. product owners, developers) that explained the process behind creating the personas and how they should be used. The research team worked in a dedicated room for the duration of the project. 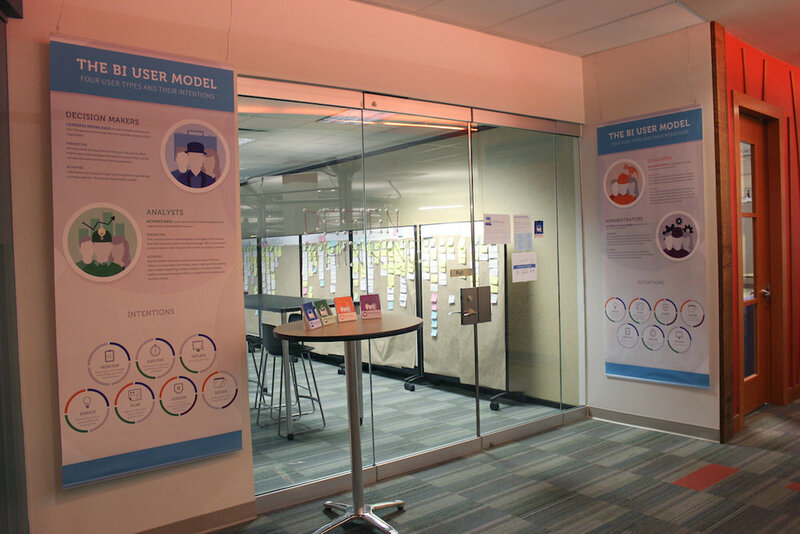 We set up the room with our interview notes and encouraged visits and contributions from designers, engineers, product owners, and other team members. 1. Scripts & Recruitment - Scripts along with screener questions were created. Potential users were sent the screener questions to evaluate if they were a good fit for our study. 2. Conducting interviews - 27 interviews were conducted with users, both in person and remotely. 3. 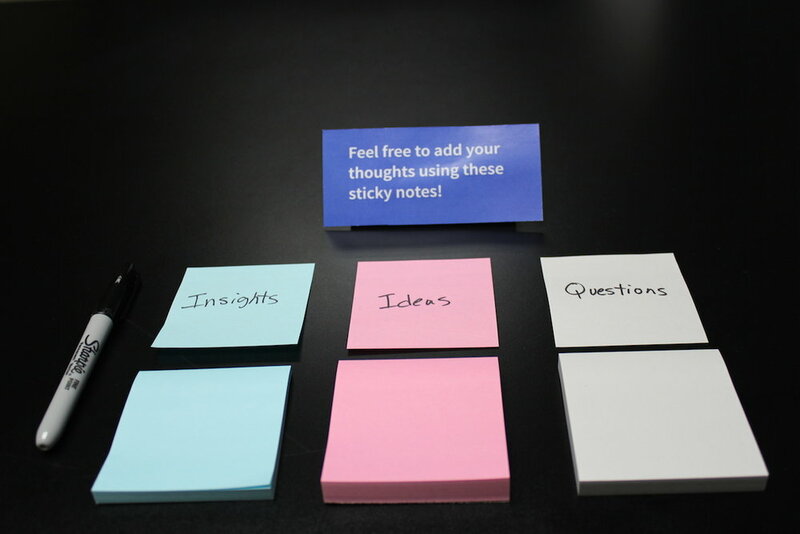 Synthesis - Interview notes were then synthesized using affinity diagramming. Throughout this process we encouraged feedback from designers, product managers, and engineers. 4. Personas - Personas and archetypes were created based on interview notes and insights. 5. 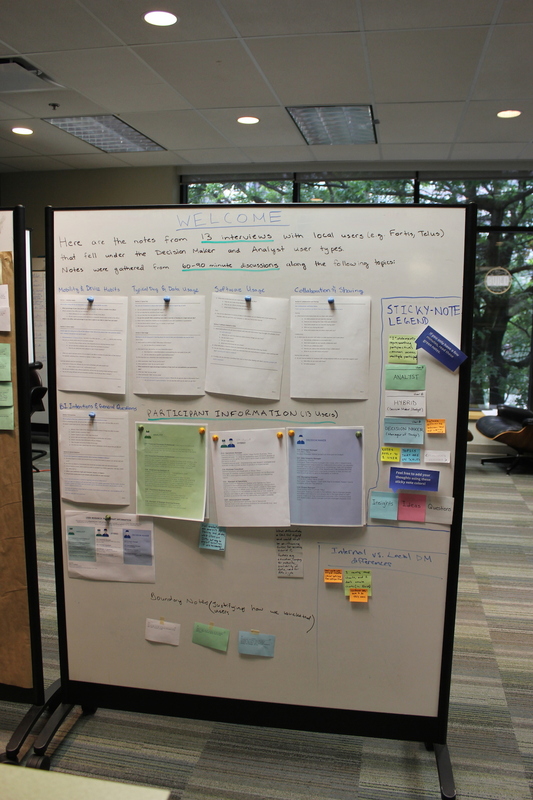 Presentations - Personas and research findings were shared with the larger development and design team (75+ people). 3 personas were created and distributed to designers, developers, and product owners. Below is a sample of the personas created, with some text blocked out due to NDA.